How to Make Money Online with your Own Internet Marketing Business. It’s what I consider my full-time job. I hate using the term marketing. It conjures up scary thoughts of sales people, cold calling advertisements, just negative things overall. Hang on! Stick with me. What I do has nothing to do with any of that. I create websites (Keep reading! Trust me!) People find my sites through Google or Yahoo read what I write and if they click on one of the ads on my website, I make money. It can be very lucrative or it can simply be used to earn a part-time income depending on how much time and effort you are willing to put into it. I want to give a quick example of basic Internet Marketing and show you how you’re already familiar with it. Let’s say your old TV broke and you want to buy a fancy new 60 inch flat panel TV. You head to Google, and start researching which TV is the best value for your money. One of the search results is a review of the new Samsung Mindblower 5000. After you finish reading the review, you click on a link that takes you to the TV for sale at Amazon and you make a purchase. The person who originally wrote the review and provided you with that link will make a commission on your purchase. Let’s say the price of the new TV is $2,500 and the reviewer makes 6% commission on each sale. The reviewer just made an easy $150 off of ONE review only. There is a lot of room out there for anyone to make a lot of money. Now, this is just one small example and Internet Marketing is by no means limited to reviewing TVs and Amazon. Did I lose you already? Here’s a quick image to help you visualize the process. When you become an Internet Marketer, you get to be the person who writes the reviews, gets people to visit your site, and then receives commissions from retailers like Amazon for sending customers their way. This is basically how I’ve been working full-time from home for over a year now. I follow trends and provide people with the information they’re looking for. You’ll be watching search engines like Google and Yahoo to find out what people are searching for and then you’ll write articles or create websites to help these people find what they are looking for. Above all, Internet Marketing is about HELPING people. Your job will be to help people find the information they’re searching for online. You’ll be creating websites (you probably don’t know how to do this yet, but keep reading because I’ll explain) and when people come to your website and click on your ads or make a purchase at an affiliated website, you’ll make money. The amount of money you make will vary depending on the affiliate program you’re partnered with. It costs absolutely no money to affiliate with a company. You’re promoting THEIR products, they pay you! The best part of all of this is that you’re not responsible for taking orders, shipping items, providing customer service, etc. Your job is to get people to click on your affiliate links. You still give people what they want and you get a paid. It’s win-win. Ah, the phrase no one wants to hear. I imagine there are going to be some people who immediately say “it costs money therefore it’s a scam.” You’re starting a business. You need to invest some money first. I can’t think of a single (legal) business that you can start without putting up some money up-front. If you know of one, please leave me a comment below. I’ve racked my brain and I can’t think of anything. If you want to become an Internet Marketer, there are a few things you have to pay for. First, if you have no prior experience, you’re going to have to pay for training. You need someone to teach you the ropes and show you what you need to do. The point I like to make is you want to start your own online business right? Starting your own business, whether it’s online or offline, requires SOME investment. If you wanted to start your own brick and mortar store, just think of the expenses you’d face. There’s rent, supplies, equipment, contracts, legal documents, employees, utilities, taxes, and so much more. You wouldn’t even think twice about having to pay these. It’s just the cost of doing business and of course there are no guarantees. Your small business could easily go belly up in just a few months and leave you thousands of dollars in the red. It’s a pretty common scenario. That’s why I recommend trying your hand at an online business. You don’t have to invest nearly as much, and you have the possibility of creating an income strictly for you. The thing is, you’re still going to have to invest some money. There is some small overhead, and you need a proper education. You need to learn all there is to know about running an online business. If you wanted to be a doctor, you’d pay to go to medical school, right? You can’t just declare yourself a doctor and start offering examinations! You really can’t treat an online business any differently. It’s called Wealthy Affiliate and it’s my number one recommendation to learn how to make money online. Wealthy Affiliate is a step-by-step training program that teaches its members to become successful experts in affiliate marketing. It is a vast educational resource that will teach you how to successfully become an Internet Marketer by providing you with all the tools and training you would ever need. It’s the same step-by-step process that I followed to build a successful online business and I’m still an active member in the Wealthy Affiliate community today. The full name for Wealthy Affiliate is The Wealthy Affiliate University. It really is best to think of it as an online school. It’s not an eBook you download or a piece of software you install. It’s a full-on online course where you can learn from teachers and interact with students. You can login complete some lessons, but instead of getting grades, you make money! I’ve spent thousands of dollars trying different internet marketing courses for this blog, but have yet to see a program that offers as much as Wealthy Affiliate. One of the biggest problems I’ve seen with other courses is that they quickly become outdated. Wealthy Affiliate adapts to changes in Internet Marketing and is updated daily both by the owners of the program and the members. New resources are written all the time and you will always have full-access to all of the training materials. The absolute best part about Wealthy Affiliate is that they aren’t going to try and sell you anything else. Your membership includes everything you would need to start an online business and then some. They offer weekly webinars, video training, website hosting, unlimited support, personal one-on-one coaching, a community forum, step-by-step instructions, and so much more. Everyone who reads this articles wants to know one thing: how long before I start making some money? Unfortunately, this is probably the only question I cannot answer. I simply can’t guarantee you’ll make x amount of dollars in this amount of time and frankly I wouldn’t trust anyone who gives you specific numbers especially if those numbers seems a bit outlandish. Instead, what I’d like to do is tell you about my new favorite feature at Wealthy Affiliate that will help you get started within your first month. 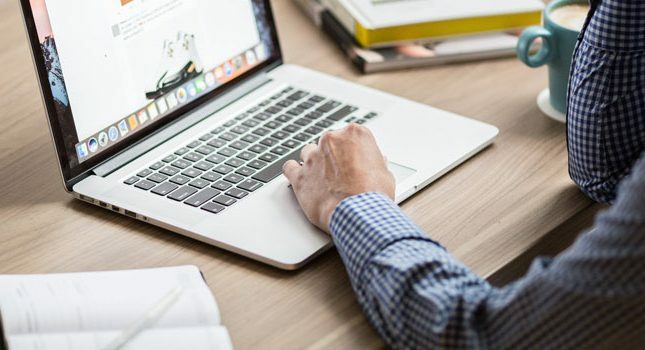 It seems that a lot of people are geniunely interested in learning how to make moeny online, but don’t really know how to start or feel their technical abilities will hold them back. Wealthy Affiliate has gone through great lengths to help anyone get started with a new club they created called Success in 30 Days. Each morning, you will receive an email with a list of tasks to accomplish for that day. This will help you setup your very first online campaign and put you on a direct path to making money. Within just a couple of days, you’ll have a niche picked out, a full website up and running, and a handful of articles written. You may even begin to see some visitors and possibly even some money! The biggest proof that the Success in 30 Days Club works comes from an 80-year old man who wrote an email to me a few days ago. He didn’t know much about computers and mainly used the Internet for email and Scrabble. He wanted to pick up an online hobby and decided to try at Internet Marketing. In less than a week, he had his very first website online and was working on getting visitors. Very encouraging! There are quite a few benefits to joining Wealthy Affiliate, but the biggest one has to be that you will be surrounding yourself with like-minded individuals. You gain access to the community forums. Ever member of Wealthy Affiliate has access to these forums. You can connect with other people, ask questions, read stories, gather inspiration and so much more. Another benefit is one-on-one coaching. 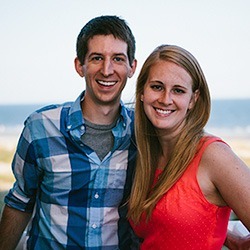 You can email the owners, Kyle and Carson, any time and they will personally respond to your questions. I’ve emailed them both dozens of times and they have both taken the time to help me with my questions and offer advice. Plus, I’m very much an active member too. You can add me as a friend, send me messages, and connect with me on a more personal level. I’ll be more than happy to help you any way I can. These have all been some pretty general examples. 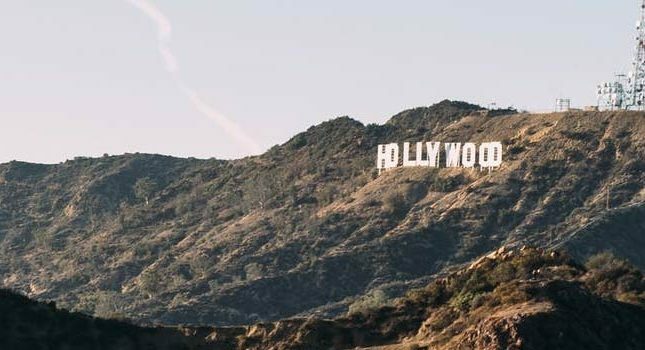 I want to give you some specifics and share with you some of my accomplishments to give you an idea of what is possible when you join Wealthy Affiliate. I tend to avoid posting flashy screenshots of earnings here at I’ve Tried That. I’d much rather you signup for a program because it’s a right fit for you and not because you saw a few pictures that contained dollar signs. Nonetheless, I do need to offer some proof that this stuff actually does work. I wanted to share with you an inside look at a few of my personal affiliate accounts and give a little information about each of them to help you better understand the type of work that I do. I’ll save you the trouble of adding that up. It comes out to $1,243.60. That’s over a thousand bucks over a two week period. These earnings all come from ONE SINGLE article I wrote OVER TWO YEARS AGO. Yes, you read that correctly. That one single article has been consistently making this kind of money for over two years now. It took me only a few hours to write. I used a few article marketing training guides at Wealthy Affiliate to help me write a compelling article and learned how to properly promote it and drive traffic to it. This was one of my first “big ideas” and has been a cash cow for me ever since. 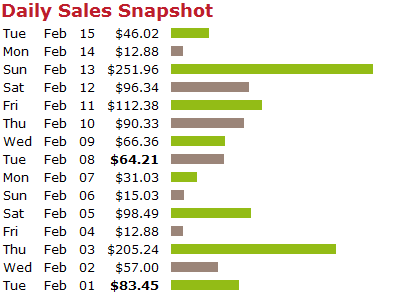 This is a screenshot of my Amazon affiliate account for the month of January. All of these earnings come from a deal website that I run. I scour Amazon.com looking for big discounts on items. It takes me about 5 minutes to update each morning and hundreds of people visit it each day looking to save some money. I get paid every time someone clicks on one of the deals I posted then buys ANYTHING at all at Amazon. The idea for this site came from the Wealthy Affiliate forum. 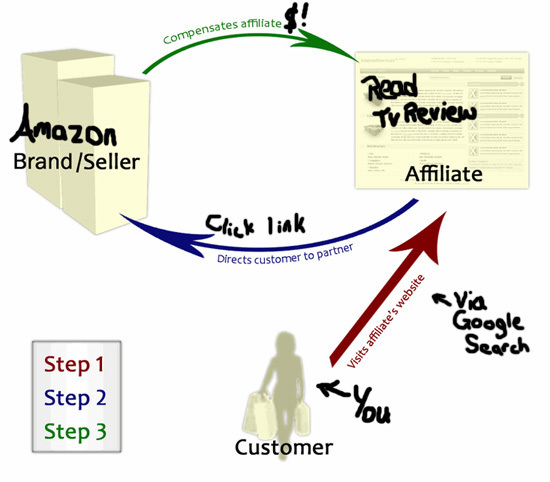 A few members were talking about how to make money with Amazon’s affiliate program. Since I love online shopping and saving money, I decided to create a website to help other people do the same. It’s been a huge hit and it’s one of the easiest ways I’m making money online. This last screenshot is just a small snippet of my personal Gmail inbox. I recently wrote and released my own guide to sell and it’s been moving quite well. I did a search for all of the payment notifications and you can see the search returned thousands of results. The guide has been my biggest success thus far and I used a combination of a ton of different Wealthy Affiliate guides to help me write it and promote it. I was also able to get in contact with other Wealthy Affiliate members who had experience selling products and was able to pick their brains and ask questions. These were people who make millions of dollars online each year and they were personally helping ME. I never would have been confident enough to write my own guide, nor as successful at selling it, if it wasn’t for the help at Wealthy Affiliate. This has just been a small sample of just a few of my earnings. I wanted to give you a personal look into a few things that I’m doing to make money online and give you some proof that Internet Marketing WORKS. Wealthy Affiliate does cost $47/month to become a member. Yes, it costs money to join. But let’s put that cost into perspective. If you wanted to change your career offline, you’d pay to go back to school or to learn a new trade right? If you were a telemarkter before but wanted to become a heart surgeon, you’d have to pay for years of medical school. You wouldn’t just walk into a hospital and start performing surgery. So why treat online any different? Having to pay for is definitely the biggest thing holding you back. I know it is. But you’ll be gaining access to the top internet marketing training program in the world for about a dollar a day. If that’s too much for you to invest, then maybe making money online isn’t for you. You will be working to build your own online business. Forget working the 9 to 5 and slaving away under a miserable boss to make someone else rich. Learn how to work for YOU. You will work alongside me. I’ve been a Wealthy Affiliate member since 2009. I’ll be more than happy to help you every step of the way. You will have your very own website up and running within your first week regardless of your technical experience. You will have access to unlimited support. The owners of Wealthy Affiliate will personally help you and respond to your questions. You will be joining a community and collaborating with thousands of other like-minded individuals (including me personally!) all working to achieve success online. You will have access to all updates and changes at Wealthy Affiliate without ever getting charged more. Join Today and Receive a Copy of My Top 10 Secrets to Making Money Online Free with your account! I just finished up a special guide for all those who are interested in giving Wealthy Affiliate a shot. It’s a compilation of the ten most important things I’ve learned since launching my own Internet Marketing career almost three years ago and you can have it absolutely free with your Wealthy Affiliate membership. This is a special offer for readers of I’ve Tried That ONLY! You won’t see an offer like this anywhere on the web. This is a special bonus that I personally wrote. Create an account, log-in, and the guide will be sitting there waiting for you! Did you know I’ve been running I’ve Tried That since 2007? There are nearly 1,000 posts here. Honest! Take a look at the archives page for proof! My point is, I’ve covered a lot of different get paid to, work at home, and Internet Marketing programs. Of everything I’ve seen, of all the programs I’ve reviewed, Internet Marketing is the best shot a beginner has at making a sizable income online and Wealthy Affiliate is the program to help you get there. So you want my top recommendation? Come join me at Wealthy Affiliate. You’ll surround yourself with like-minded individuals all working towards the same goal: building a successful online business. You’ll be given the tools and the training to get you on your feet. It doesn’t matter how “good with computers” you are. All you need is an idea to get started. Wealthy Affiliate will even help you narrow down an idea and will help you cash in on it. 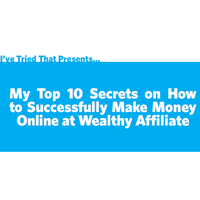 I’ve showed you what’s possible at Wealthy Affiliate and I invite you to come join me and take advantage my Top Ten Secrets guide. Add me as a friend after you join. My username on the site is IveTriedThat. Come introduce yourself and feel free to ask me anything. I’ll be more than happy to hear from you. Click here and sign up at Wealthy Affiliate now! This wraps up my three day series on how to legitimately make money online. Thanks for sticking with me through all three articles. Scam warnings and updates will resume as usual next week. As always, I welcome all questions and comments. Thanks for your continued support! to be honest and forthright in the things you say and write about. I’ve been a subscriber to I’VE TRIED THAT for a while now going back to when Joe was your partner. I’ve been surfing around the web for some time now looking for the right vehicle to get involved in to make money online and Affiliate Marketing and the way you describe it here is what, I feel, is going to be the best for me, once I get off my rear end and do something about it. work anymore, I don’t know. Affiliate marketing may be the answer. time charge and Michael Brown is very helpful.